Ultra-creamy saturated lip color that delivers beautiful, lightweight matte color without any dryness, caking or fading. Beautifully rich matte color glides effortlessly across lips. Suede-like, cushiony feel and with maximum color impact. To create the perfect pout, define lips by applying your choice of ColorStay® lipliner to the natural line of your lips. To further increase the wear of your lipstick, fill in lips completely. Continue by applying your favorite Revlon® Matte Lipstick shade over the lined lips. I always use a lip balm/vaseline as a base before applying this product. If I have time, I would exfoliate before using this lipstick as well. I also like to dap the lipstick onto my lips instead of gliding harshly. It retailed for $9.99 at Shoppers Drug Mart. and about $8CAD at Walmart. I purchased this last week for $3.99 CAD at Shoppers Drug Mart. I recently started to watch for weekly flyer deals! I only decided to purchase this lipstick because of the sale at Shoppers and because I haven't had any new matte lipsticks in the past 5 years or so, due to bad experiences with formulations. On makeupalley and beauty blogs, I always see that it was compared to a MAC's pink lipsticks such as "Viva Glam Gaga", "Saint Germain" and "All Styled Up" but honestly, none of these are dupes at all. Personally, if I remember the swatch of "I like it like that" correctly, I think that Pink Pout reminds me strongly of it. 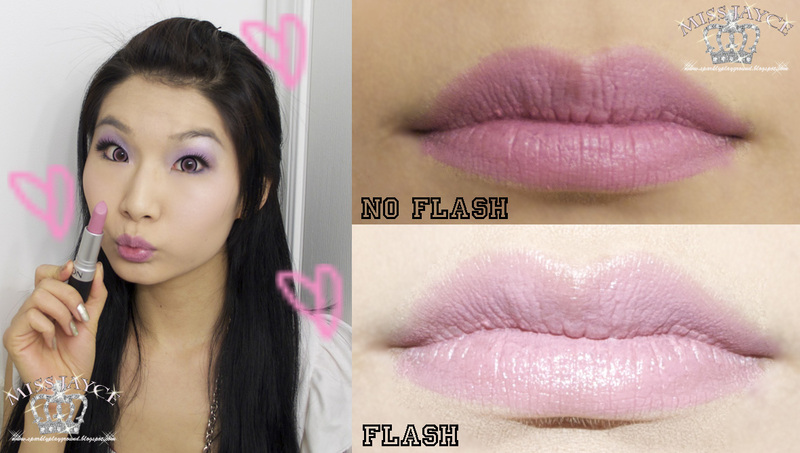 To me, Pink Pout is a barbie pink with cool undertones leaning slightly towards a bit mauve as well. It helped get my smokey eye make up pop and I usually like to pair this color with purple eye make up. I think that it looked really good on my light and yellow undertoned skin. Lastly, it is pigmented even with just one coat, especially if you like a tint of the color without being cakey. The texture of this lipstick allows it to glide smoothly during application. However I do find that the formula is still drying. Over time, about 2 hours, I find that my lips are dried. I would need to take it off entirely and reapply starting with a lip balm as base. Having a base makes it much better for application. Otherwise, if applied without any base, my lips become extremely dry and flaky. I usually get this result with matte lipsticks. The lasting power is overall good. It didnt smear around my lips area or onto my teeth, it stays put exactly where you apply it. I don't need it to last too long like 6 hours because I tend to eat or drink a lot during a day. One of the best part is that there wasn't a funny smell or any weird after taste. For packaging, I like that it is simple and that the top is see-through so I can see the colour. Makes it much easier to find the right shade considering most of you guys have TONS of lippies. Many lipsticks on the market have the product slightly outside the tube when retracted (like a little head peeking out). This Revlon lipstick can retract entirely inside the tube, which I like because sometimes the lid comes off when its being thrown around in my purse. This way, the product doesn't smear all over my purse. Product: 4/5 ♥ Still somewhat drying, rich texture, and beautiful colour. 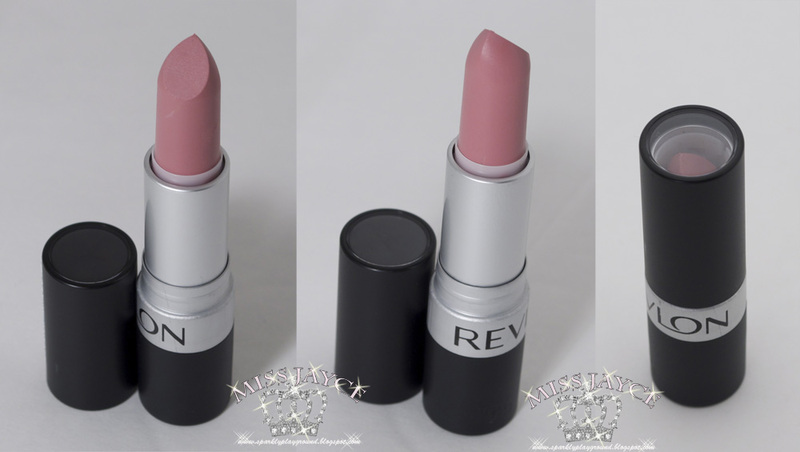 Price: 5/5 ♥ Retailing at $8-10 is average for a Drugstore lipstick. Sale prices makes it awesome though!